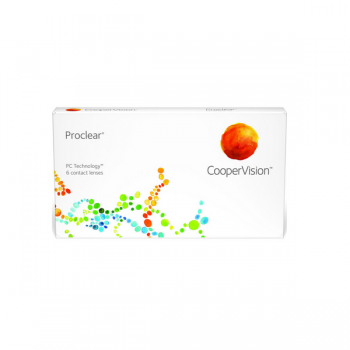 Proclear lenses gives a wide range of vision correction ranging from astigmatism nearsightedness farsightedness and presbyopia. We get a choice whether to change lenses every month or everyday. Proclear lenses have PC Technology which contains molecules found naturally in human cell membranes. These molecules attract and surround themselves with water keeping the lenses moist even after 12 hours of usage. They are also US FDA approved. They work very well in case of the patient experiencing mild discomfort and dryness during lens wear. They are available for powers upto -20.0 which is not available with any other competitor."